WiiWare, it's safe to say, hasn't had quite the impact some would have hoped. Its problems have been well-documented — not least on this site — but Nintendo UK is throwing more weight behind the service with a new online portal called We are WiiWare. 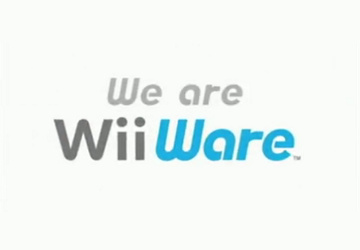 Hey guys have you heard about this new download service called DSiWare? I hear it's going to be great. Can't wait until Nintendo's website in 2015. Another missed opportunity to replace "we" with "Wii". Also, where's that ol' World of Goo? These are all European developers, right? a little late in the game.still this is good. Hopefully the wii U has a webstore I can purchase from. All these videos have been available in the Nintendo channel previously, haven't they? I know for a certainty I saw the MotoHeroz video when I checked the channel a couple of days ago. Then again, who even knows there is a Nintendo channel. Nintendo's fault for not integrating the functionality into the shop channel from the start. @James: Yeah, they're all European. ...and yes Burny I do believe they were on the Nintendo channel. I hope that title didn't get anyone's hopes up about Valve support. How about removing this STUPID RIDICULOUS download limit for Games so the developers are FREE to create their vision, Super Meatboy springs to mind. At least they picked awesome games, I suppose. Huh? Wonder if it will make it to the Wii U. @Bubbl3wrapGuy: Probably because those games were made by an American company. You know, when WiiWare had a shot at actually being relevant. the cool guy always turns up late to a party. problem with nintendo is the wiiware party is pretty much finished, and everybody is ready to go home. You know, I think they should have made it 'We are what WiiWare' lol! It's almost the same as the Nintendo Channel, that's superflous. Nintendo of Europe should give us some good games from USA that aren't released in Europe instead. For example MDK2. Or they should offer us a way to play games from other regions on PAL consoles. Maybe the NTSC-Channel. I would even pay 500 points for it. Also, can we transfer to Wii U? Cos I aint downloading shiz until that is certain.